With a growing number of aquarium hobbyists jumping on board the digital testing equipment bandwagon, it’s no surprise that someone already entrenched in the aquarium illumination game would come out with a new PAR meter. After all, the market has been absolutely dominated by the Apogee branded meters for many years, so there was plenty of room for competition. 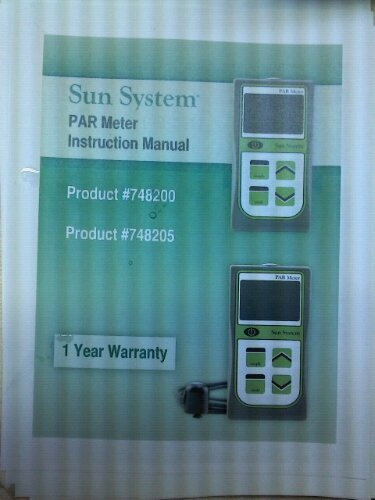 Filling the gap, Sunlight Supply has stepped up with their own light measuring device called the Sun System PAR Meter. Sunlight Supply has been illuminating many aquariums for many years, including some of our own, so when we caught wind of this news, we were naturally quite excited. Unfortunately, that excitement was short lived as the new meter looks to be a re-branded Apogee Quantum MQ-200 PAR Meter. We love our Apogee meter, and if the Sunlight Supply meter is in fact a replica, we know if will perform very well. We’re just curious to see if the prices will be the same for the new meter, or if its introduction will spark a price war. That might be a stretch of our imaginations, but it would be nice to see some price drops in digital testing equipment. Image courtesy of our friends at the Marine Engineers Blog.